Was walking around Raffles City shopping mall looking for something light but enough to fill the tummy yet still have room for dessert! As I was looking around, I saw this small seating area which I thought was pathetic but what caught my eye is the word POTATO! 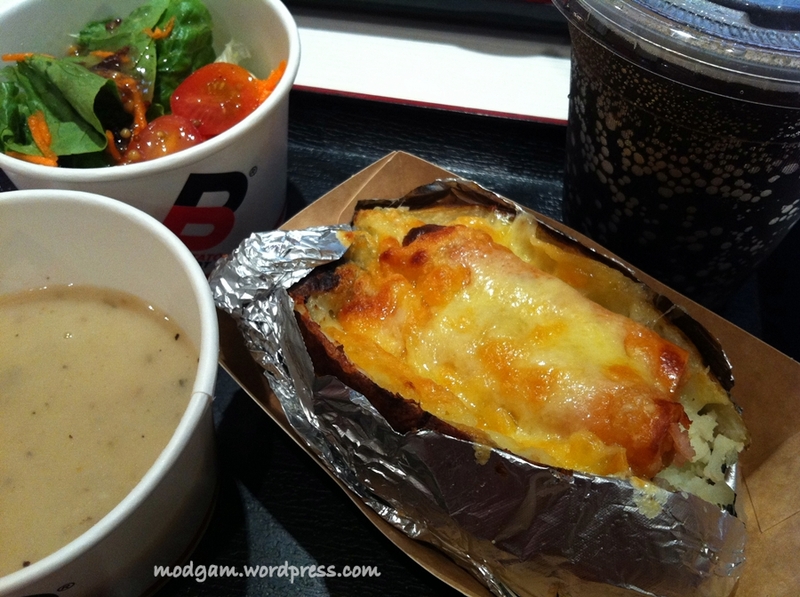 I love love love potato; fried, bake, in all shape and sizes. hahaa Looking through their menu, I know this is it! 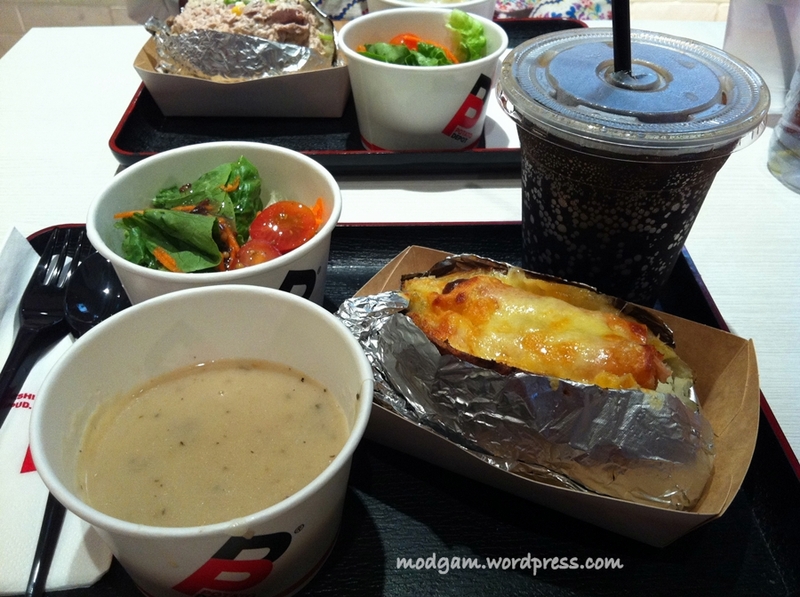 A set menu consist of a baked potato with a filling of your choice, a nice size of soup, salad and drink! PERFECT and still have room for dessert! I will be back for sure and this time I wana try the ham and cheese! Chicken Sausage (added S$3.00 for set meal) S$8.90 – delicious!!! I want more! Capt. 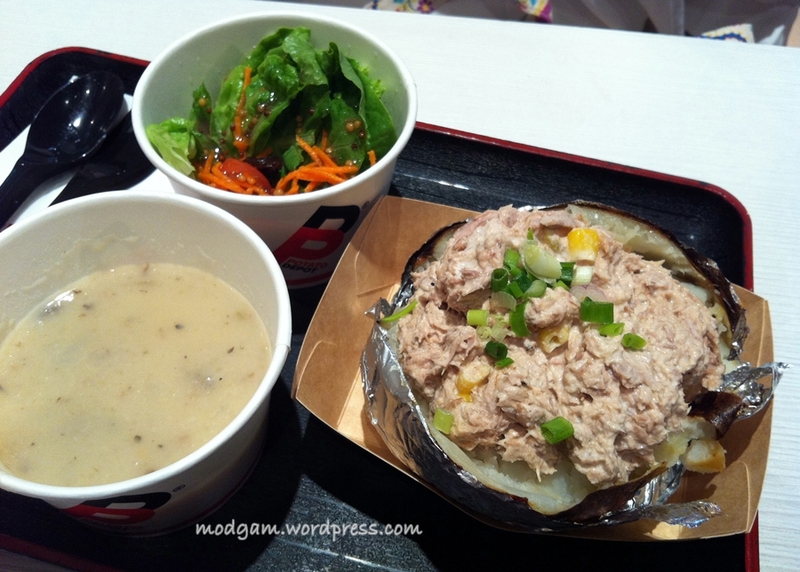 Tuna (added S$3.00 for set meal) S$8.90 – yummy!! yes its been so long! u have been active but not on my blog! =P heheee I’m doing good just really busy with work n im currently shifting to a new home so am busy with tons of packing. you?? me too…i love potatoes!